Easily search for Encino, CA Condos for Sale. Todd Riley at Keller Williams Realty makes it easy to find Encino Condos for Sale – just click! 53 Condos currently for sale in Sherman Oaks, CA. Starting prices at $255,000 for a 1 bed 1 bath unit with almost 700 sq ft. The most expensive is $899,000 with 3 bed 3 bath and just over 2300 square feet. The new website is faster, slicker, more powerful than before. More mobile friendly. Give it a spin today! Easily Search for Studio City, CA Condos for Sale. Todd Riley at Keller Williams Realty makes it easy to find your next condo in Studio City – just click! There are currently 29 condos for sale in Studio City with starting prices at $335,000 for a 1 bed 1 bath with almost 700 square feet. 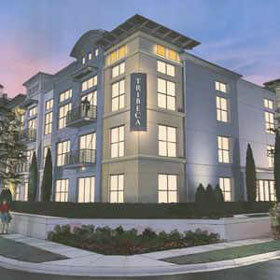 The highest priced Studio City Condos is a new construction with 3 bed 3 baths and over 1600 sq ft priced at $939,000. 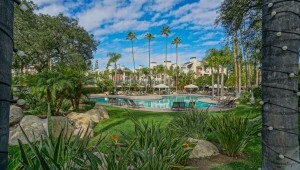 Easily and securely search for Encino, CA Condos for Sale. Todd Riley at Keller Williams makes it easy and safe to find Encino Condos, Condominiums, Townhomes, and Townhouses for Sale. Using the latest SSL technology – Todd’s Encino Condo site is secure. Todd’s site is also extremely mobile friendly – so search for your next Encino Condo on your phone or Tablet. Over 40 condos for sale right now in Encino, CA. Starting prices are currently at $249,000. What do you get for $249,000 in Encino, CA? A 1 bed 1 bath loft style unit with almost 700 square feet of living space. Own an Encino Condo and want to know what it is worth? Todd has you covered with an automated valuation tool found on his website. Professional CMA (Comparative Market Analysis) delivered to your email inbox in seconds! Todd Riley at Keller Williams Realty makes it easy and safe to find a Studio City Condo for Sale. Fast, Accurate, up-to-date searches for Studio City, CA Townhomes, Townhouses, Condos and Condominiums (co-ops too). Extremely mobile friendly makes finding a Studio City Condo for Sale simple on a Smartphone! Just over 20 condos for sale in Studio City, CA right now with starting prices of $449,000. What does $449,000 buy in Studio City? A 2 bed 2 bath co-op with about 1000 square feet. Co-ops are a different form of ownership over condominiums. Call for details. Want to find out or monitor the value of your Studio City Condo? To0dd makes it easy with his automated valuation tool. Easily and securely search for Sherman Oaks Condos for Sale. Todd Riley at Keller Williams Realty has a new and improved website to find Sherman Oaks Condos for Sale. This new website uses SSL Security and is extremely mobile friendly. Easily find all available Sherman Oaks Condos for Sale from your Mobile Phone or Tablet. 56 Sherman Oaks Condo are available for sale starting at $375,000. What does $375,000 get you these days? In Sherman Oaks you get a 1 bed 1 bath larger condo with over 800 square feet. The most expensive condo for sale in Sherman Oaks, CA is $1,400,000 and this has 4000 square feet with 5 bedrooms and 5 baths. Want to monitor or find out the value of your Sherman Oaks Condo? Todd makes it easy with his automated valuation tool – professional Comparative Market Analysis delivered to your email inbox in seconds! The Met at Warner Center | New and Improved Website! Search Met at Warner Center Condos for Sale Easily search for Met at Warner Center Condos for Sale. With just a click you can find all active listings at the Met at Warner Center. The Met has 1279 units in 16 buildings on 26 verdant acres. Amenities include 4 pools, 6 lighted tennis courts, gym, kids play area and Guard Gated Entry. 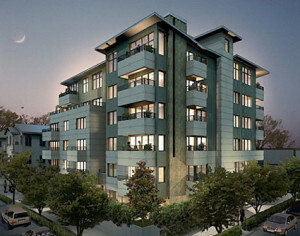 7 Condos currently available at the Met | Starting at $339,000. Sherman Oaks Condos, Townhomes and Townhouses for Sale – with just a click! Click to find accurate, up-to-date, listings for Sherman Oaks Condominiums! 21 Active Sherman Oaks, CA Condos with starting prices of $369,000. Sherman Oaks, CA Condos for Sale | Click Here!